When President Abraham Lincoln requested the state of Ohio to raise ten regiments at the outbreak of the Civil War, the state responded by raising a total of 23 volunteer infantry regiments. The Columbus Blue Jackets were named to celebrate Ohio’s patriotism and rich Civil War history. In 2000, the Blue Jackets were founded as an expansion team, which plays in the Metropolitan Division of the Eastern Conference of the NHL. Like other expansion teams, the Blue Jackets, too, have struggled in the beginning. They have however qualified thrice for the playoffs. The Blue Jackets are ready for their time to shine this upcoming season. With a talented young core, Columbus has their sights set on bringing home a Stanley Cup trophy. Division rivals, the Pittsburgh Penguins,the New York Rangers, and the Detroit Red Wings will look to stand in the Blue Jackets' way. Grab your Columbus Blue Jackets tickets and head over to Nationwide Arena to lead your team to victory. It may be hard to find the Blue Jackets memorable moments amongst the sea of those teams with big Stanley Cup wins, nevertheless, the team is not without its iconic moments. First Stanley Cup Playoff berth –It was April 8, 2009, and the Blue Jackets were up against the Chicago Blackhawks at the United Center, Chicago. The Blackhawks had the home field advantage, but the Blue Jackets defeated them 4-3. It was a historic shootout win, which got the Blue Jackets their first Stanley Cup playoff berth. Returning to Playoffs –On April 9, 2014, at the America Airlines Center, Dallas, the Blue Jackets clinched their second playoff spot in the franchise history by defeating the Dallas Stars 3-1. Pittsburgh Penguins – Some of the greatest rivalries in professional sports have been born between teams that have often met in the playoffs. The Blue Jackets-Penguins rivalry is one such competition where the two teams have met twice in the playoffs. The teams first met for the 2013-14 NHL season. This was the Blue Jackets second playoff appearance. Lack of experience and other factors made them lose to the Penguins in the first round (4-2). The rivals met again in the playoffs for the 2016-17 season and the Blue Jackets were defeated again in the first round (4-1). Detroit Red Wings – The Columbus Blue Jacket-Detroit Red Wings rivalry is also a post-season rivalry. The Blue Jackets qualified for the post-season games for the very first time in the 2008-09 season. The Red Wings were the reigning Stanley Cup Champions and defeated the inexperienced Blue Jackets in the Conference Quarterfinals (4-0). Philadelphia Flyers – The Flyers are the divisional rivals of the Blue Jackets. What makes this rivalry interesting is the fact that many Blue Jackets have previously played as Flyers and vice versa. However, ever since the Blue Jackets have joined the Metropolitan Division, they have beaten the Flyers convincingly. The Blue Jackets as an expansion team may have struggled in the league, but they have produced a number of players who have gone to make exceptional careers in Columbus. Rick Nash – Nash has been Blue Jackets all-time leader in games played, points, assists and goals. As a Blue Jacket, he was an NHL All-Star in 2004, 2007, 2008, 2009 and 2011. Ryan Johansen – In his first two seasons as a Blue Jacket, Johansen scored a combined 33 points in 107 games. In his next two seasons, he posted 134 points in 164 games. Johansen was drafted fourth overall in the 2010 NHL Entry Draft. And though it took him some years to develop, he nonetheless turned into a forced to be reckoned with on ice. Sergei Bobrovsky – The famous goaltender from Russia was able to cement himself as one of the best Blue Jackets of all time in three short seasons. In his first year as the Blue Jacket, Bobrovsky was named the winner of the 2012-13 Vezina Trophy. This trophy is awarded annually to that NHL goaltender who is adjudged to be the best at this position. At the heart of the thriving Arena District, Nationwide Arena is a spectacular place to watch a hockey game. Nationwide is the only arena in the NHL to offer a 70-foot, glass-enclosed atrium, open lobbies, and concourses that allow fans a great view of the ice as soon as they walk through the door. Dont wait for the regular season to experience Nationwide. Get your Blue Jackets preseason tickets and playoff tickets. With the thriving Arena district, fans are guaranteed to have a good time before and after any Blue Jacket contest. The Blue Jackets have been in the playoffs the last two years in a row. During the 2018 Stanley Cup Playoffs the Blue Jackets were the Wild Card team against the Washington Capitols. They lost the series 4-2. Starting their 2018-19 NHL season on a high note, the Blue Jackets are predicted to go past the playoff stage. To see them win big this season, get your quote on Blue Jackets season tickets price here. Our process for purchasing cheap Columbus Blue Jackets tickets is simple and fast. There are so many online ticketing sites, that it can be hard for customers to find the right place to buy Columbus Blue Jackets tickets at the cheapest price. At ScoreBig we think of our customers first and foremost. We offer daily deals for Columbus Blue Jackets events, so our customers can get the best seats for the best prices. ScoreBig will always go above and beyond to offer the cheapest Columbus Blue Jackets tickets on the market. The Columbus Blue Jackets schedule above, displays all available events for 2019 and 2020. Once you find the event that you would like to go to, click the red “Get Tickets” button. It is located on the right-hand side of the event listing, it will take you to an Columbus Blue Jackets event ticket page. ScoreBig's event ticket page will display all available Columbus Blue Jackets tickets for that event. On the event ticket page to help with your search for the right Columbus Blue Jackets tickets, use the filters at the top to select quantity, price range, and more. There is also an interactive seating chart so you can pick where you want to sit. When you are ready to buy a ticket, click on the listing, and you will be directed to ScoreBig's checkout page. Upon completion of the information fields, your order will be processed and your Columbus Blue Jackets tickets will be delivered via email, mail, or to your mobile device. What makes ScoreBig’s site stand out from the rest? We are constantly analyzing our competitors to improve our site, service, and prices. ScoreBig.com employees strive to offer the best process and experience to buy cheap Columbus Blue Jackets tickets. Our goal is to get you the best seats to Columbus Blue Jackets events. We offer daily discounts on our site and for special promotions check out our newsletter. If there are no Columbus Blue Jackets events currently available, you can use our search feature at the top of the page to see a list of all popular events going on near you. No matter your price point, we have all the best deals and discounts on Columbus Blue Jackets tickets. For more information on prices of Columbus Blue Jackets tickets and the schedule for Columbus Blue Jackets , check out our listings above. The last thing you want to find out is when the Columbus Blue Jackets event you wanted to go to is sold-out. Don’t worry in many cases ScoreBig has affordable tickets to sold out events. We sell tickets from GA all the way to premium seating and parking. Skip the scalpers in the parking lot and get your tickets online from top Columbus Blue Jackets ticket brokers. We get you in all events, buy your Columbus Blue Jackets tickets here from a brand that many trust and rely on for all their ticketing needs. ScoreBig offers a 100% money-back guarantee. If you have been in search of cheap tickets for Columbus Blue Jackets , ScoreBig by far is the best option. That’s why ScoreBig has more loyal customers than any other ticketing site. 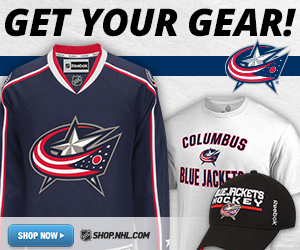 Shop at ScoreBig for safe and secure Columbus Blue Jackets event tickets.